Just a heads up. 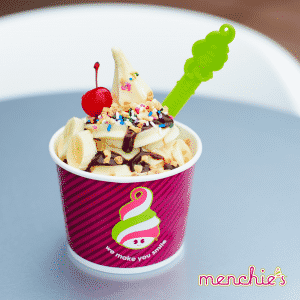 Menchie’s will be on Undercover Boss today and to celebrate ,they’re offering everyone a free 5oz frozen yogurt. Just text MENCHIES to 35350 between 7pm and 3:59am (eastern time) to get your coupon. You can redeem it Saturday or Sunday. Click here for more info. *Keep in mind standard text messaging fees apply. Also you can text back stop after you get your coupon to avoid future texts.